Now here is a wonderful hack for displaying related posts beneath each of your blog posts along with post thumbnails. The related posts are picked from other posts having same category/label/tag. With this hack many of your readers will remain on your site for longer periods of time when they see related posts of interest. - remove the line in violet if you want the related posts to be displayed both in homepage and post pages. Step 7. Save the Template and that's it. Now the Related Posts widget with Thumbnails should appear below each Blogger post that has labels on it. Enjoy! for the "class='post-footer-line post-footer-line-1'>" line, I have two of those in my code. how do i know which one to put it under? friend how did you remove the blogger mark 'B' which shown at the tabs of the browsers? i have use these codes.it's workin frist two months. but after few months it auto not working. i don't know what is the broblem. now i am using linkwihing.linkwithing is not good. Thank you so much! My blog is looking good now, I had tried some other code, and it just wasn't working. thanks for this... it works for my blog now. But one thing to ask how to add thumbnails when i never putted a picture to a post? any random pic in array? also when i change the max-results=6. Only 5 related post thumbnail display what happened? i recheck everything..
Hi admin. can i ask? how to put it on the main page. cause i only see the related post when i open the post. but cant see it on main page. please answer me thank you! Remove the fragments of code in violet from the step 6. Thanks for visiting! Its bad but it doesnt work on my blogs. Hi - thanks for the post. This works, but I had to tweak it slightly to display it on homepage. The violet coloured codes need to be removed from in Step 4 and Step 6 too. I think your instruction isn't clear on that point. But thanks again. I can't find either two codes on step 6 or code in my blogger html. Please help me. I couldn't find either of them... Are there any other options? Mine was NOT working until I expanded my widgets. Thanks Ateeb & Admin!! Looking great now. Thanks a lot, works perftcly....! but it is showing in very small size, i want to increase its size, how can i do that ? hope u will help..! Nice.. Tip.. I like the Big thumbnails better..
Is there any chance i could also increase the amount of Text displayed under the thumbnail? Some related posts topics makes no sense when its half. I can't find step three with the / in my html. will it still work if I put it below the same word without the slash? It will work but it is recommended to put it before the head closing tag. Better add it after </b:template-skin> instead. Thank you so much for getting back to me so quickly! I really appreciate it! I found the code and then pasted yours. But now none of the step 5 codes are in my html. weird? is there anything i can do? Well done..its good. I have been searching for that..my blog is..
None of the three lines of code in step five appear in my template. Suggestions? Not working for me either. Maybe it's conflicting with some other widget/script? Nice post. I have added this in my blog. But, I need a help. Is there any way to change the font for 'Related Posts' title? :( Blogger is giving me an Error code! Can't save the template. Is there a way to adjust the width of the padding either side of each thumbnail? I would like to try and create more space in-between each of the posts didplayed. Thanks a lot for explanation! Made it yesterday - works fine. But I have another type of an issue. TO make life easy to the readers I preceede the text with a small icon with the corresponding flag. And the related posts widget picks up often this flag instead of nice pictures in the post. Thanks a lot for any advices. first of all, i must express my thanks to you for sharing this great tips. it works for my blog, but i'm facing a minor problem here. I removed the violet code to have the related post appeared on my homepage too, however when I click on the post, the related post doesn't appear. why is it so? hope you can help me out. because i does not wish to remove all the codes and search for another code from another author to try it out all over again. I really want this to work, but I followed all of the instructions exactly and nothing on my blog has changed. What's going on?? Many apologies for my long missing, i've been a little busy in the last time! Thanks everybody for the feedback! @ threesugars-aj: Click on Edit HTML and don't save the changes, then try adding the codes again. @ Pacco - I tested on my blog and it shows both on homepage and post pages. Maybe adding it again would solve the issue. 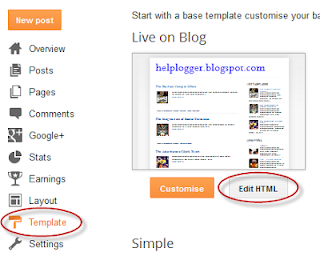 It looks great in my blog buddy,thank you very much for share this useful tips article! Works like a charm. Thank you. very useful tutorial. thank you very much. Change the background-color:#d4eaf2; from the code from step 4 to background-color: transparent;. what if we can't find the "post-footer-line post-footer-line-1" (all 3 options)? Add it above <div class='post-footer'> instead. Its Not Working On My Blog. thanks for writing this up and keeping up with comments. What edits would I make if I didn't want any image pic- just the text of related post titles? i can't find this all, please help.. "< class='post-footer-line post-footer-line-1'>"
Thanks for the simple related post! Been searching all over the net and found your post. Holy Smokes! That was easy! (even with a custom template) And sooooo very kewl! I even plopped my own default pic in for posts that don't have any. And it's working perfectly on the home page too! A fabulous addition to my blog - no doubt will greatly improve my page views. Thanks so much! why it only show 3 articles for the video tag(one of my tag, youtube vedeo only i have about 10 articles in that tag), and the 3 articles always the same? why it doesn't show any article for another tag witch don't contain any picture or video(text only)? Hi, thanks for your article. how to change the thumbnails to a list format with a small thumbnail picture on the left side? Could you please help me with this? It works!! Thank you.. And could you please tell me how can I increase the size of the thumbnail as I feel it so small in my blog. thank you very much it worked completely fine. but is it possible to change the header "related posts" to something else or at least amend the font? please let me know how! thanks in advance! Really its helped me lot. Thanks for post. Is there a way I cant change the font of ''related posts''? I want it to be Georgia and not italic... Furthermore, it works perfectly, thanks! really nice and easy tips for beginners .. Thanks so much.. very helpful..
i want related post style like that u see here ( http://i.minus.com/i5fXavlaprLSm.PNG ) ... but i dont know how to do.. pls help me that post.. Thanks for the nice widget. It's work for me, and I want to know how to make some changes. I want 4 related post all together, forming a nice square, with no tittles. Is this possible? I just added it to my blog, http://whynot2000.blogspot.com/, but some posts that have pictures show up with the default picture in the related posts. Thanks SO much! Easy and it worked great!! Ok, I spoke too soon. It does work. But I only see it under one category. I would greatly appreciate it if you could take a look at my site and tell me what you think. The first post on the page, under category DIY, is working. But if I click on my other posts, say, a Before/After category, nothing shows. And I do have several Before/After posts so they should be there. I'm lost. Is it possible to use this code in a static page? how can i add this widget below comment box? Absolutely fantastic tutorial mate. This worked without any hiccups, thanks a load! Thank you so much for this tutorial. I've removed my linkwithin and replaced it with your code! Love it! Great! i succses in the end! This is awesome! Thank you so much! I am not sure why some posts are getting 2 related posts and some are getting six, though. There are posts that only have 2 but there are more of my posts that are tagged that should appear as well... Please let me know if you have a chance. Thank you! Hello, it works on me too... Thank you :) The post title it displays is only 32 characters, I want to change it to at least 60 characters, is this possible, if so how? More power to you and happy blogging! It doesn't show on my blog. Will it take a few hours? No, it starts showing in seconds. Do u have labels in ur post as the logic of this script works on labels. Link Within didn't work and I'm so glad I found your site! Works great! Can I exclude labels? Example: I have a book blog and I only want to be displayed related posts of the same author, not for the same rating of e.g. 5 stars. Its not working on me.....! 1 question: how can I make the font of "related posts" smaller"? Just read through your comments and got my answer. Thank you!!! Really easy to follow. Got it up and running in a minute or two. so when I copy and past the codes and it hit save it wont save. Is there something i am doing wrong? Thanks for the great post this has to be the best explained one i have found but like all the others ive tried I cant seem to get anything to show up, im using bloggers picture window template and I have follow the instructions word for word, am I missing something? Totally awsome. Wonderful plugin. Thank you very much. awesome... it works! Thanks for sharing. Exellent job. Very nice modification. Thank you very much. Good looking blog by the way. May I ask where you get the Recent Comment plugin on your blog? and paste the SECOND block of code immediately above this. Now the related posts will appear between the share buttons and the comments box. Hey.. any idea if i want to show this in my sidebar??? i tried pasting the code just above the div id='rsidebar' but gives me an error. why the images are fainting? Worked like a charm - thank so much! I did everything as instructed but it is not showing on my blog. What do I do. This is not working. there are two 'div class='post-footer' And am i suppose to put my url in twice? its works but Default image location is not working on my site. Anyway I dont want to show thumble Image Just related posts only. Can you help me please? THANK YOU FOR SHARING, I THINK WE SHOULD KISS 'LINKWITHIN' WIDGET GOODBYE.. Thank you so much was very helpful. Great post. I was looking that widget for a long time.. Thank you.! It seems that the recent changes of Blogger's template editor, brought also some small changes in the template's code... Maybe adding it below the 2nd <data:post.body/> (instead of <div class='post-footer'>) would solve the problem? Hey Admin, I Really like your templete it's cool and very simple to use as well as it looks professional, I've been looking for a good templete since 2 years but i could not find any good one but when i come to know about your beautiful blog i've learnt many things thank you so much. This code works, but my thumbnails are mishapen. it forces the default photo to be a square thumbnail but the photo is often not square which leaves the the photo looking odd. can i change that? 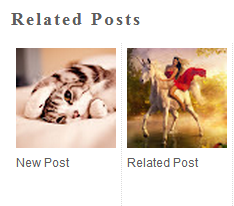 Thanks for sharing such a nice trick to use related post in blogger. Hi, thanks for this hack, it is working great. My only problem is that it keeps putting in the current post that I am on (clearly related, haha). Is there a way to fix this? Also, I already have the "larger" thumbnails, but I use really large ones on my blog. Is it possible to override the size somewhere in the code? this widget is a good one. by the way, this script is like your related post ? this is not working in my blog. Can you help me ? hi admin.for my blog it's not working. my blog contains a jquery plugin for image slider.is this the reason of not working?pls help.i need your code to work.pls help as soon as possible. How can i remove that space? Hello Admin I am using Hi-Tech Template of templateism and I tried To Add Related Posts Widget To My website www.technologyraise.com but its not working .I followed each step .Please help me out. 2. Change the font-size inside? It is currently 12px but I wanted to change it to 10px. How can I adjust size of my related post to Be 6 in one line or twelve in two line in stead of 4 in one line, or 8 in two line? Hi, new to HTML, when I click "edit HTML", there is no "expand widget template" box. Exactly where is that located? Thanks! I didn't work. Any ideas why?